With tax season here, many employed college students expect a refund check. If you’re one of those students, you may be wondering how you should spend your refund. Though it may be tempting to spend your refund having fun, there may be more financially-savvy options out there. When you put your tax refund to work for your future, you can reap the benefits for years to come. 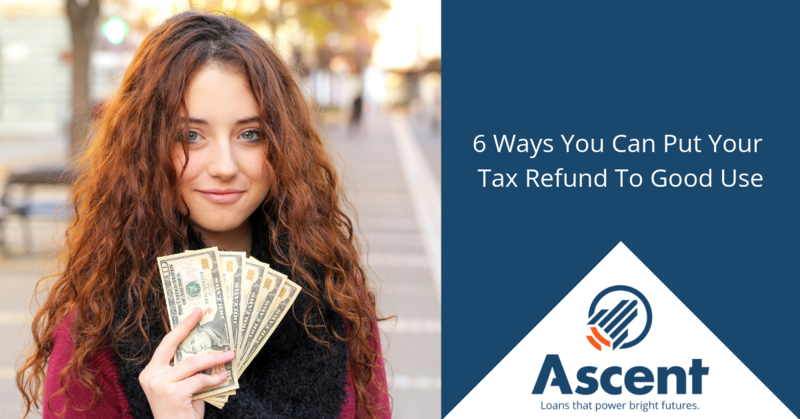 With that in mind, let’s look at some tax refund tips for college students so that you can be better equipped to thrive in the long run. Paying off your debts should be the priority when it comes to wisely allocating extra money. The sooner you pay off your debts, the less interest you’ll pay overall. If you have multiple sources of debt, focus on the one with the highest interest rate. Your future self will thank you! A rainy-day fund — also known as an emergency fund — is used when unexpected costs arise, such as loss of income, major auto repairs or medical bills. Having an emergency fund in place protects you from having to take on high-interest loans, such as credit card debt to cover such events. Though your tax refund may not be that large, contributing to your emergency fund is a great habit to get into. This cushion can provide enormous peace-of-mind in the event of a surprise expense. For more information about budgeting, building an emergency fund and keeping a healthy financial perspective, check out our post called What Financial Literacy Means for a Student Today. College is full of new experiences and opportunities, but also brings a fair share of expenses. School supplies like textbooks, project materials and online access codes can add up, especially to students on a tight budget. Put your refund to good use by covering these necessary costs instead of racking up credit card debt. In addition, if you lack some essential equipment like a laptop, you may want to consider using your refund to increase your academic efficiency. Once graduation day comes and goes, unforeseen expenses may come up that you’ll be glad you saved for. It may be a new suit to wear to your first job interview, or a car for commuting. If you’re a senior that hasn’t landed your post-grad job, you may want to set aside some money for living expenses to cover a period of unemployment. Saving up for the future can be a life saver! The earlier you start investing, the more your nest egg can grow. Consider opening a Roth IRA or another type of retirement account with your tax refund. It’s never too late to get started with investing — you may be surprised by how fast your money can grow over time. Finally, the tip you’ve been waiting for! If you’ve covered all your bases and put a majority of your refund towards one of the aforementioned tips, it’s okay to treat yourself a bit. You can reward yourself for the financial wisdom you’ve shown all year by going out for a special meal, seeing a show or embarking on an outdoor adventure. If you’ve followed our budgeting tips for the school year, you should be in good shape to enjoy yourself when tax refund season comes. By putting that refund to good use, you’re building the positive financial habits that can set you up for a lifetime of financial success. At Ascent, we’re committed to providing students with the resources they need to thrive, during their college years and beyond. Whether it’s with financial assistance or the latest college finance tips and tricks, we have your back when it comes to building a positive financial future. 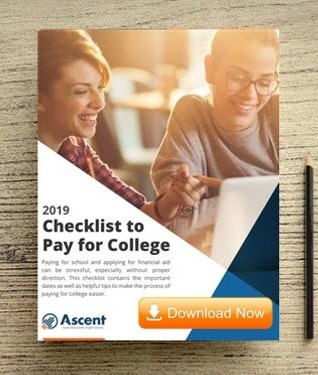 Ascent is committed to providing resources for those looking to embark on their college journey, as well as those that are already enrolled. From test prep tips to financial education, we are determined to provide students with the tools they need for success. To stay in touch with the latest in college tips and tricks, be sure to check back on our blog often!